1. Is this how Davey Crockett fans felt at the Alamo? Is this how the Cumberland groupies felt after Georgia Tech? 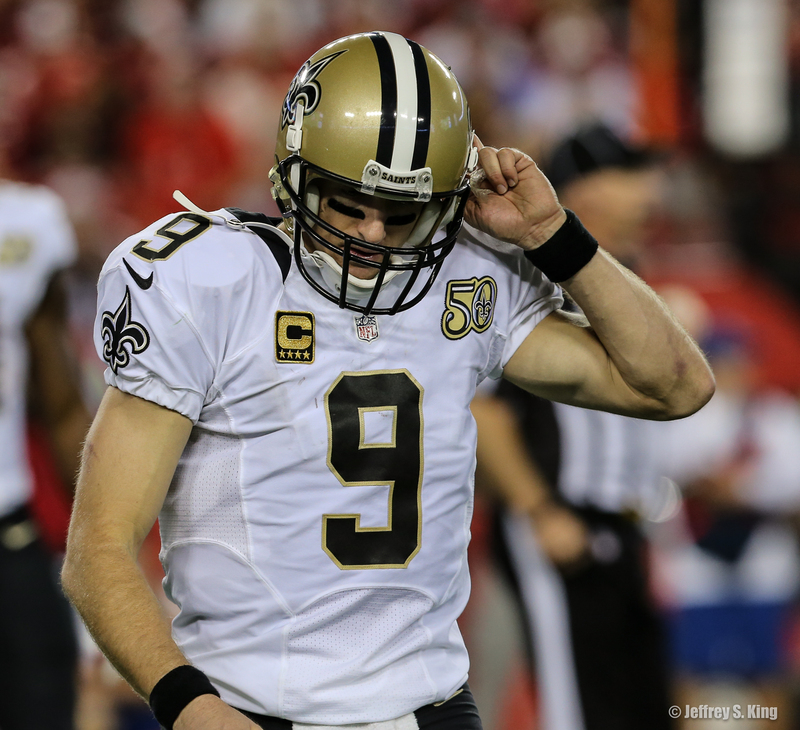 Just that fast, and you can no longer feel the elation of holding off New Orleans or beating Philadelphia. This feels as bad as it ever has. It was like watching Sarah Palin play Jeopardy. 2. Why did the Bucs bother taking part in the 2018 draft? Vita Vea, in his first action, didn't have a tackle. Ronald "Lars" Jones II averaged 2.9 yards per carry. And the guys in the secondary spent all day on the freeway chasing cars. 3. Do you think Atlanta's Julio Jones and Calvin Ridley will be psyched to play the Bucs? 4. I wonder how the Glazers feel about all the money they paid for an improved defense? The extra-point blocking team is sure getting a lot of work. 5. 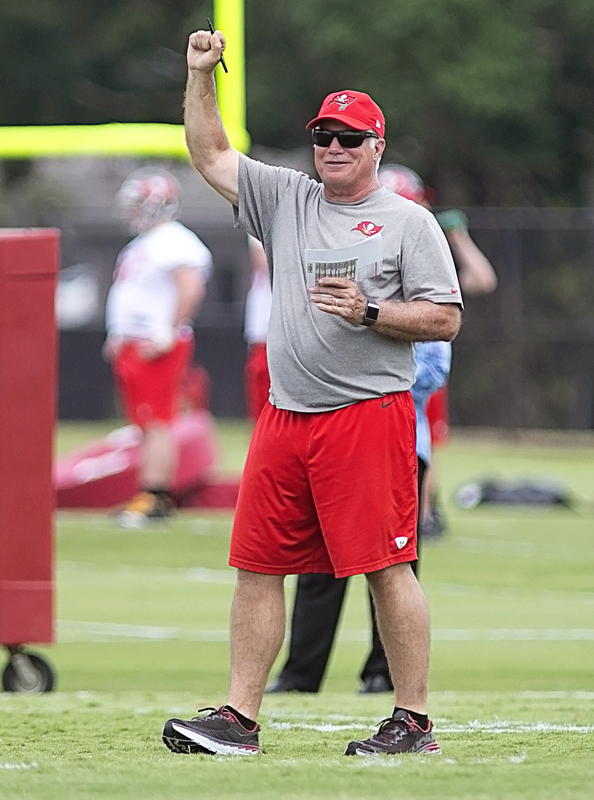 When Dirk Koetter says the Bucs should "fire every person on the field," I wonder how many locals disagree. (On the return of Jameis Winston to the lineup): "Jameis Winston is the guy that's going to be here way longer than I am, so he needs to be out there playing and he will be, unless he gets hurt, at Atlanta. 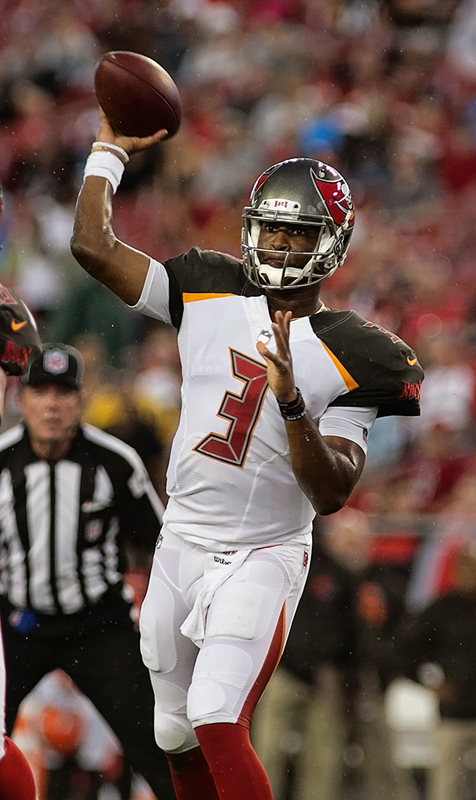 (On making the decision to start Fitzpatrick in Week Four and Winston in the next game early): "Last summer I was on vacation when we got the call – I got the call from (General Manager) Jason (Licht) – that Jameis would be suspended for three games, first thing I did was look at our schedule and see where we were," said Koetter. "(I) saw that Pittsburgh was our third game on Monday night, saw that Chicago was our fourth game on the road, short week. So in the back of my mind, from that point on, I kind of had it in my head that Fitz [Ryan Fitzpatrick] would start the first four games and Jameis would start in Atlanta, unless we were either playing lights-out or…lights-out in a good way or lights-out like we did yesterday in a bad way."" (On the play of No. 1 draft pick Vita Vea and No. 2 pick Ronald Jones, who made their debuts): "Vea was what you would expect from someone who hasn’t played live football since Jan. 1. Plenty of us are not fans of preseason football, but he didn't play at all. His power was on display at times. I thought Ronald was making strides. He had a couple of nice blitz pickups. He had a couple of runs where he probably got more than was there, and he had two other runs where I thought he should have stayed behind the double teams and gotten, say, six yards instead of three. So it was a mixed bag. Ronald is improving in areas we’ve asked him to improve." "OK, so the Bucs have the worst pass defense in the league. What if Trubisky hadn’t ruined them? That would’ve been an issue. The Bucs deserved to get slaughtered, and Trubisky delivered a resounding beating. In the first three games this season, Trubisky had led the Bears to four offensive TDs total. The Bears matched that in the first 20:01 Sunday. The red zone that had been the Bears’ private hell all season? Five-for-5 Sunday, all Trubisky TD passes." "When the Bears finally get their offense rolling at full capacity — and coach Matt Nagy would be the first to tell you after four regular-season games they’re a long way off — it’s rarely going to resemble what we saw in Sunday’s 48-10 demolition of the Buccaneers at Soldier Field. That’s because they won’t often encounter a defense so negligent with its assignments and so woefully out of place. Bad defenses don’t leave receivers uncovered downfield as often as the Buccaneers did Sunday, and the Bears and second-year quarterback Mitch Trubisky did what is expected. They pounced and then pounced again and never let up." "A few minutes ago, I started to write that, boy, did Bears quarterback Mitch Trubisky need this. But nobody needs as much as he took and was given Sunday. Six touchdown passes, five in the first half? Three hundred fifty-four passing yards? A 154.6 passer rating? Six completions of 30 yards or more? Silly numbers. An embarrassment of riches. Generational wealth. Trubisky’s future grandkids will be able to live comfortably off the statistics he compiled in a ridiculously easy 48-10 victory against the Buccaneers." 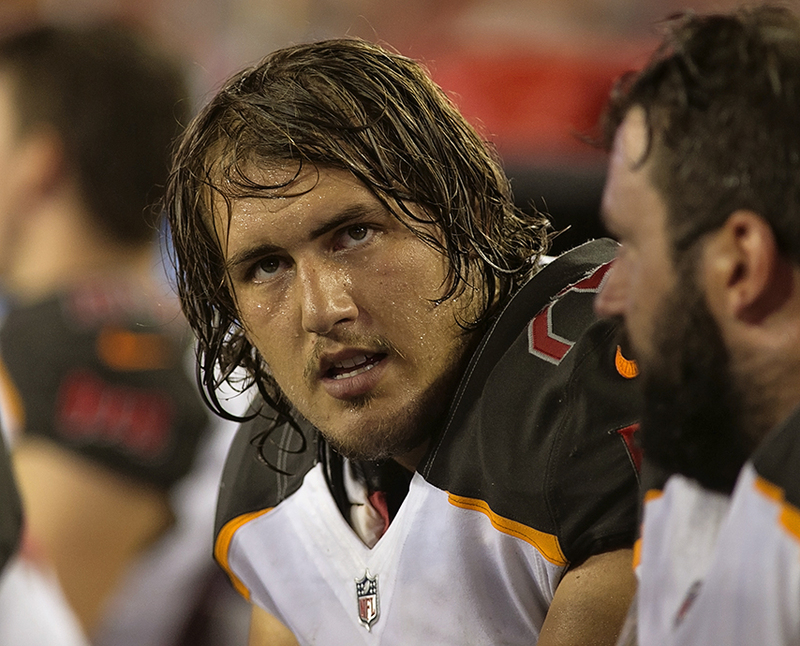 "The season is still young, but the Buccaneers look like garbage. The quarterback who delivered them some initial optimism very suddenly looks mediocre again, and Trubisky—who’s been awkward and unproven so far in his young career—completely tore their defense to shreds. 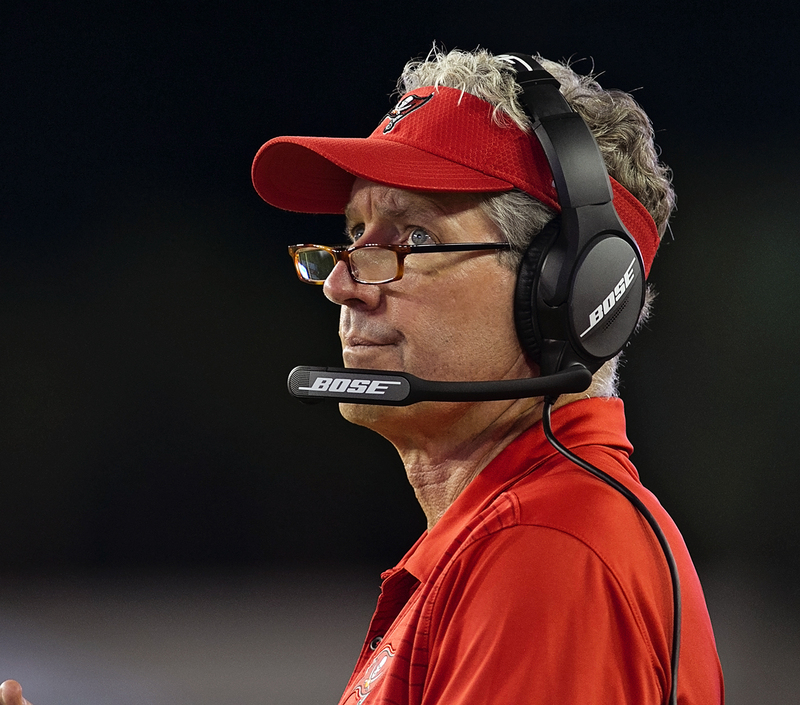 Naturally, head coach Dirk Koetter, who’s been with the Bucs since the beginning of 2016 and narrowly avoided getting fired after a disappointing 2017 season, had to answer some tough questions after the game. Surprisingly, however, he took about as much responsibility as he could. That quote came in response to a question about whether or not his defensive coordinator, Mike Smith, should be fired, so there’s an element of Koetter sticking up for his assistant here. But, I mean ... he’s not wrong! If it weren’t for the random god-level play of a journeyman veteran in the first two games of the season, the Buccaneers would very likely be 0-4 and on pace for an even worse year than their 5-11 season last year. 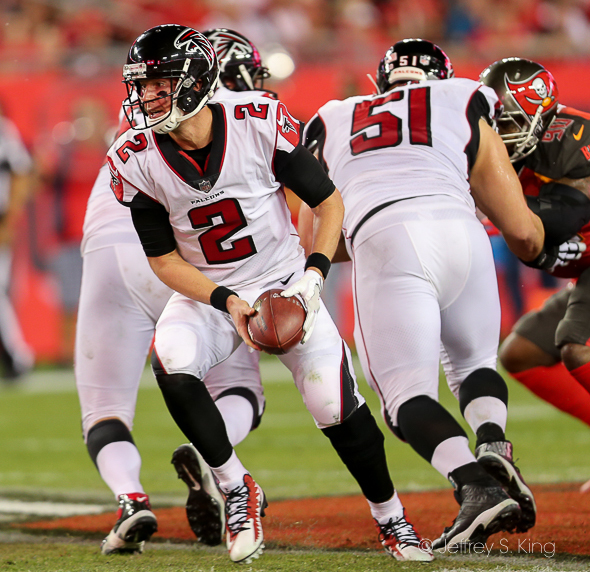 On paper, with a 2-2 record, maybe it seems too rash to pull the plug on the Koetter era in Tampa Bay — they’ll have a bye week to recuperate, at least." "In the first two quarters, Trubisky completed 14 of 18 passes for 289 yards and a perfect 158.3 passer rating. He threw TD passes of 39 yards to tight end Trey Burton, 14 yards to receiver Allen Robinson II, 9 yards to running back Tarik Cohen, 20 yards to receiver Joshua Bellamy and 3 yards to receiver Taylor Gabriel. On their five first-half touchdown drives, the Bears ran just one third-down play and scored in an elapsed 2:40, 3:34, 2:34, 1:46 and 3:12." Offense: It's hard to find any heroes in this annihilation, but you can start with DeSean Jackson, who somehow caught five passes for 112 yards. Defense: Again, the best thing the Bucs did was to get off the field, usually after giving up another touchdown. 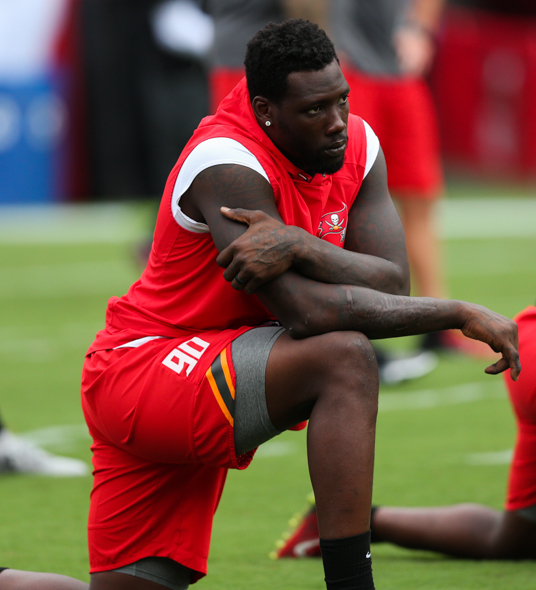 Jason Pierre-Paul had a sack and seven tackles, which was about as good as it got. Special teams: Chandler Catanzaro hit a field goal and an extra point. Whee. 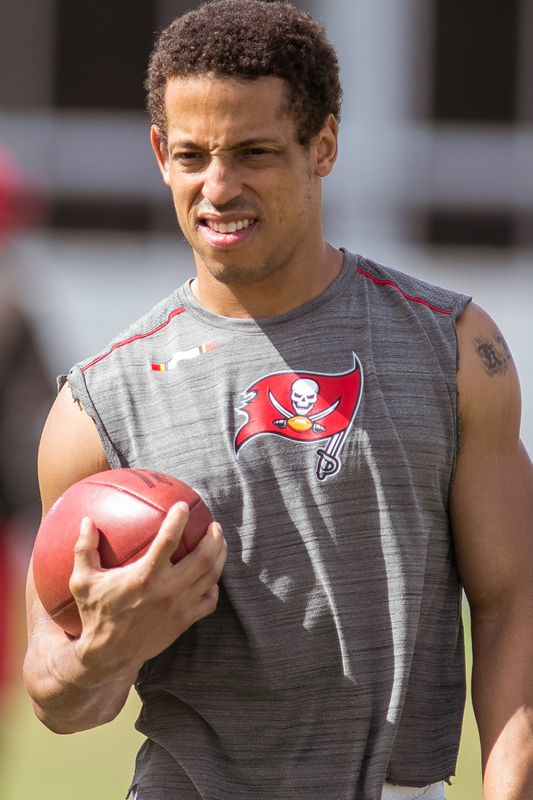 Quarterback: The Bucs came into the day thinking they had a great situation with the hot guy and the starting guy. Neither one played particularly well. Grade: C-. Running back: Ronald Jones had 29 yards and a 2.9 average. Payton Barber had 24 yards. It was a sight that is getting familiar. Grade: F.
Offensive line: The Bears had their way. 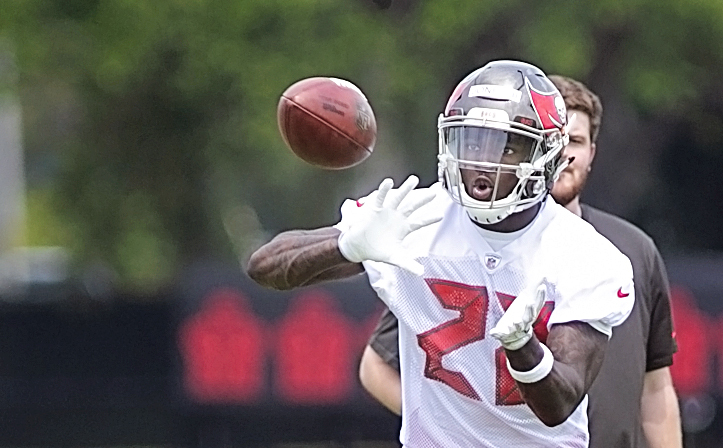 Grade: F.
Receivers: Suddenly, the Bucs didn't look nearly as threatening as they had. Grade: C-. Defensive line: What good does it do to compete in the running game when the quarterback has all the time in the world. 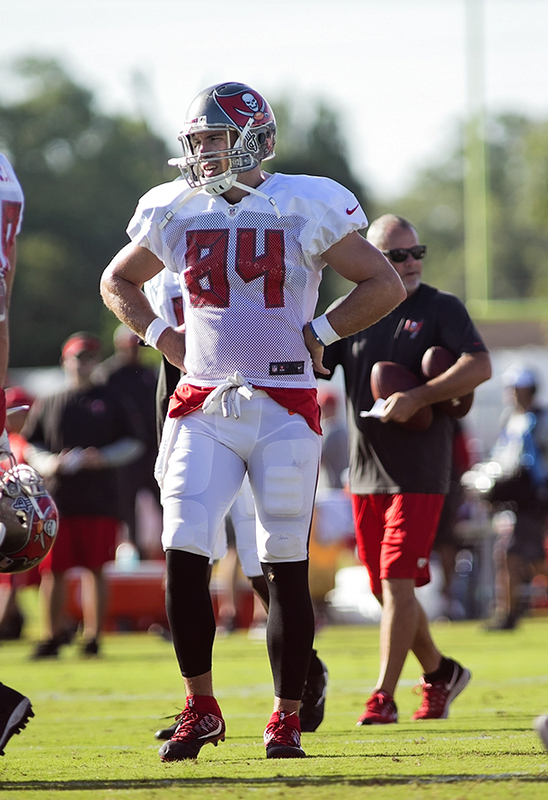 Grade: F.
Linebackers: The Bucs' backers can run, but evidently, they can't cover. Grade: F.
Secondary: This was the most embarrassing part of Sunday, and the most embarrassing part of the season. The Bucs look like they've never played before. Grade: F-. Coaching: There wasn't a play, let alone a series, where the Bucs looked as if they knew what they were doing. Grade: F.
1. The coin flip. After that, everything went downhill. 2. 2-11-44 -- For the second straight play, Chase Daniel takes a knee. Everything before that went downhill. 3. 2-3-35 -- DeSean Jackson caught a 48-yard pass from Ryan Fitzpatrick. 4. 1-10-43 -- Jackson caught a 42-yard pass from Fitzpatrick. 5. 1-10-16 -- Jameis Winston hit Cameron Brate for a 16-yard touchdown. 1. 1-10-39 -- The play that signified how the day would go for the Bucs' secondary. Tre Burton broke down the right sideline and Justin Evans fell, making Mitch Trubisky's first touchdown pass easy. 2. 1-goal-- Linebacker Lavonte David couldn't cover Tarik Cohen, leading to a score. 3. 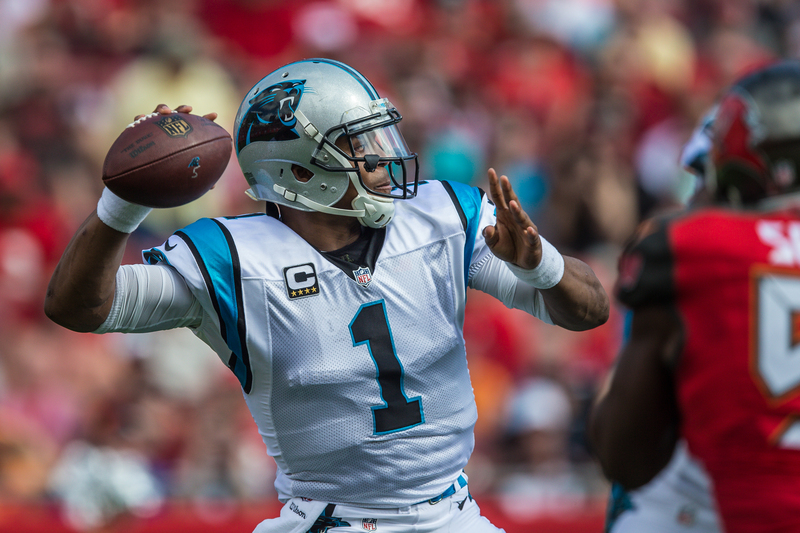 2-9-33 -- Trubisky hit Gabriel over the middle for 47 yards. 4. 1-10-48 -- On Jameis Winston's sixth pass of the season, he was heavily rushed by Khalil Mack, who hit his arm as he threw. The pass was intercepted. 5. 3-19-24 -- It's hard to make a play on third-and-19, but the Bucs were far enough down to try it. Instead, Fitzpatrick's pass was intercepted by Eddie Jackson. Monte Kiffin is only 78. Is he ready for a comeback? 1. Maybe the Bucs don't think they should have a defensive scheme. So far, they're shooting for a defensive scam. 2. In honor of the old cornerback Rod Jones, I suggest that the nickname for the Bucs' corners should be "Toast." As in: Carlton "Toast" Davis. M.J. "Toast" Stewart. Brent "Toast" Grimes. Ryan "Toast" Smith. You get the idea. 3. He's rested, he's ready. 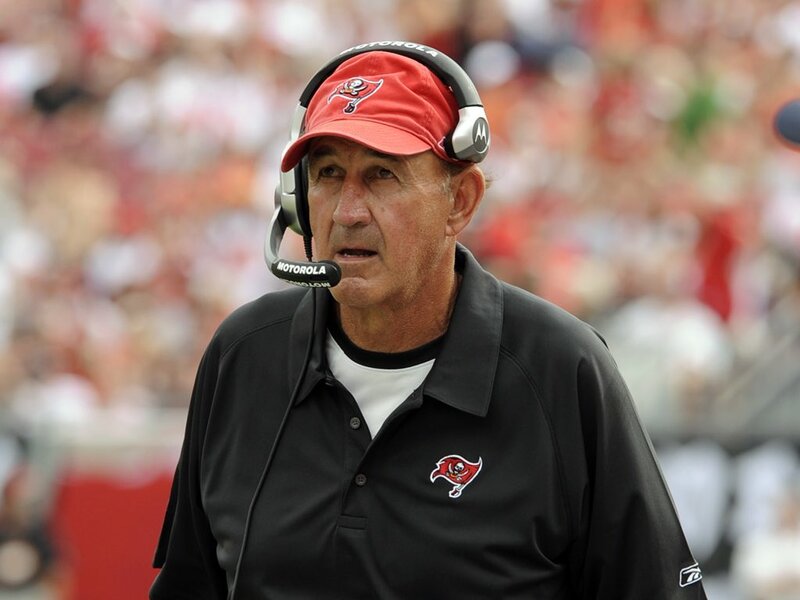 How about Monte Kiffin returning as defensive coordinator. 4. Suddenly, the 2019 draft doesn't seem hopeless for the Bucs, after all. They should get a juicy pick. 5. I wonder what the quarterback rating for ex-Bears' quarterback Cade McNown, a noted bust, would have been if he played Sunday. The Bucs, to date, had been horrible. They had lost 53 of 65 games, and previous coach Leeman Bennett was shocked when he was fired after a 4-28 start. The team didn't sign No. 1 pick Bo Jackson the previous year. I like the Monte Kiffin idea. And another bright side to add..… the Bucs and the Patriots have the same win/loss record to date (2-2). We have to laugh to keep from crying! I don’t think they’ll have the same record at the end. Do you? Nope! Just an observation! The Bucs will be lucky to have an 8-8 season with this defense! Every team knows their weakness for sure now! I’m old and I’m overweight, but I think I could get deep on these guys.